Finally someone has come up with an aluminum radiator kit for the Porsche 911 and its awesome! Every vehicle we have built has had an upgraded aluminum radiator to keep the temps down from high horsepower engines whether used on the street or track. CSF Radiators has just relased their radiator upgrade options for the 996, 997, 987 vehicles. This includes the Carrera, Turbo, GT3, Boxster, and Cayman. CSF has listened to the community and have developed the world’s 1st high performance “drop-in” fit replacement for the 911 (996) and Boxster (986). All weak plastic mounting points and end tanks that are prone to breaking under bumper contact or high vibrations have been CNC machined in military-grade aluminum for unbreakable strength. Even better, this unit is interchangeable for both the left and right side bumpers. CSF is the first and ONLY radiator company to CNC machine all their brackets and fittings for the world’s strongest and best drop-in fit radiator featuring an exclusive “B-Tube” technology. Another world’s 1st and exclusive unit from CSF. Looking for CSF standard replacement and GSR-750 to compare specs and prices. Someone will get with you shortly. Thank you Bill! 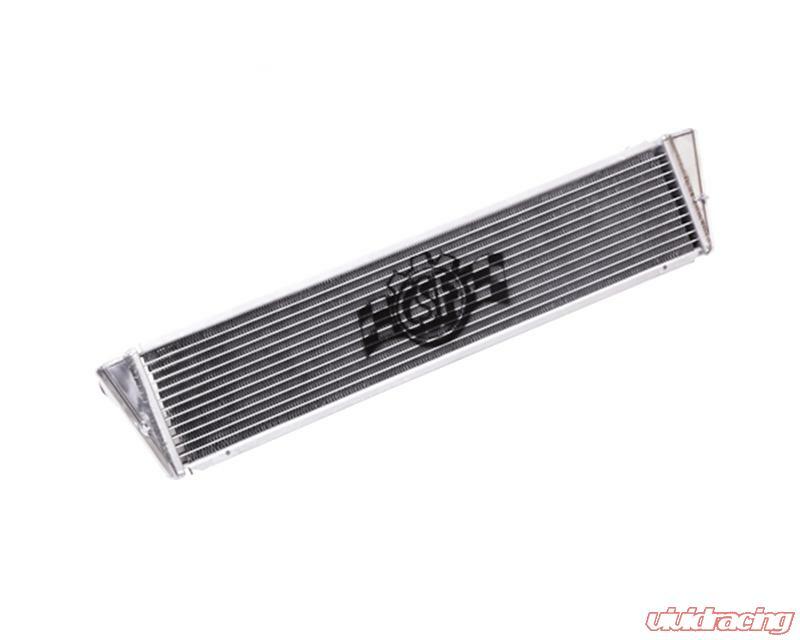 Do you have the aluminum radiators for Aug 2008 997 GT2? Hey Leon! We have many different Porsche applications. Will have one of our sales guys check and email you back. I believe the 996TT and 997TT side radiators are similar or cross over.